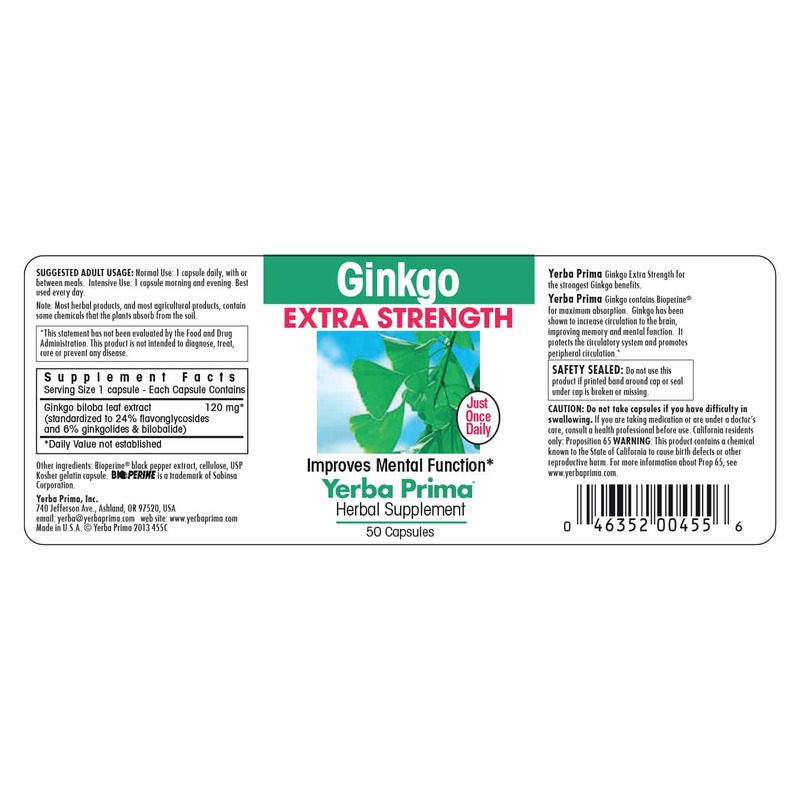 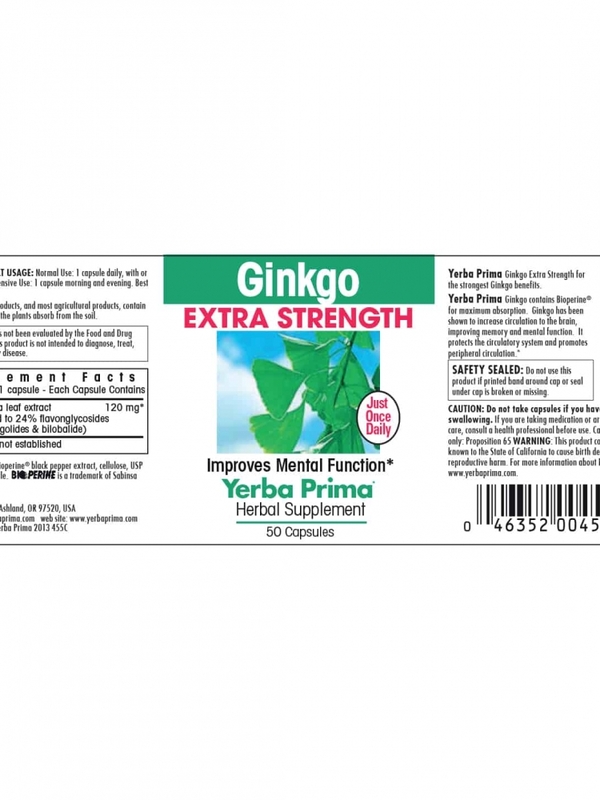 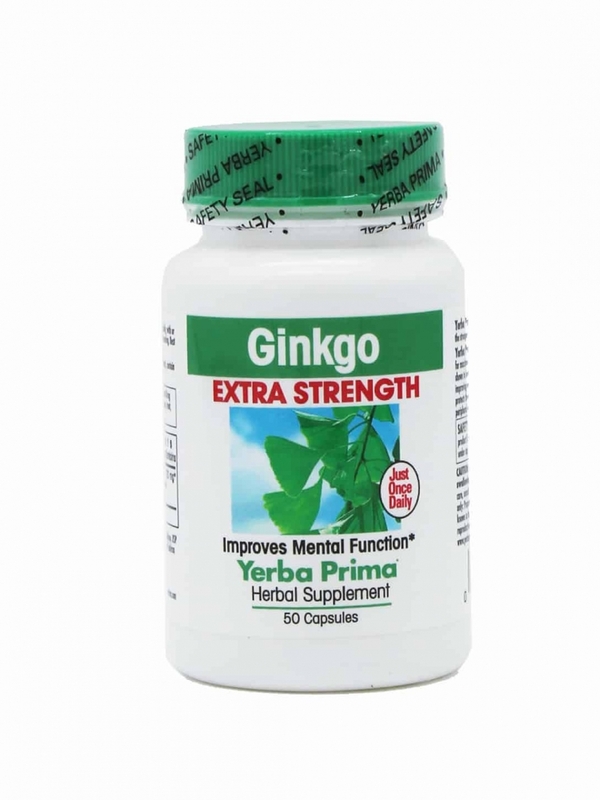 Yerba Prima Ginkgo Extra Strength contains the patented Ginkgo biloba leaf extract that is clinically proven to work in numerous double-blind, placebo controlled studies, plus the assimilation boosting nutrient Bioperine® black pepper extract. 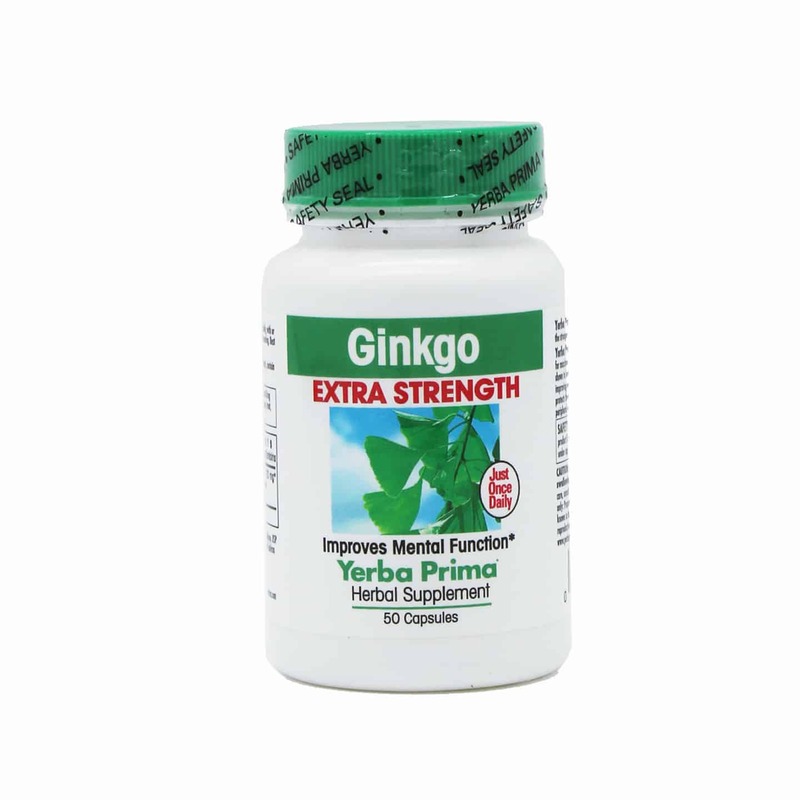 Ginkgo Extra Strength provides maximum absorption. 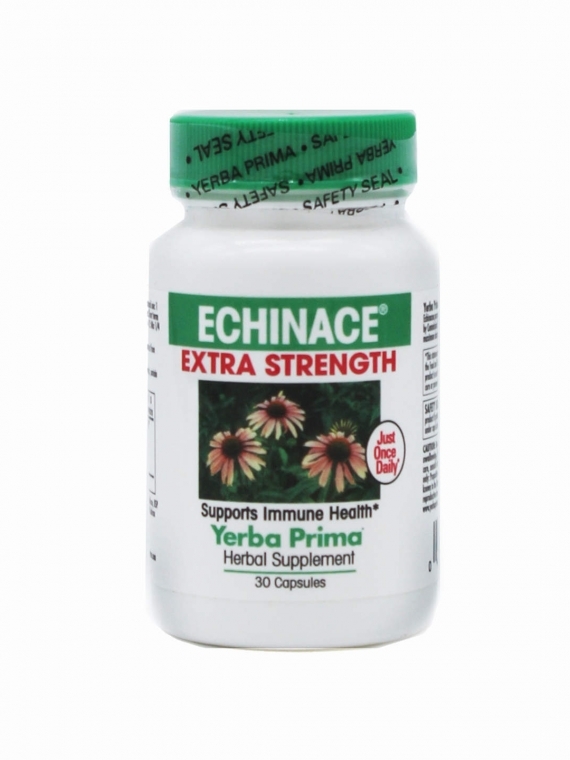 Our Extra Strength formulas are made with standardized herbal extracts, which are assimilated more completely than common powdered herbs. 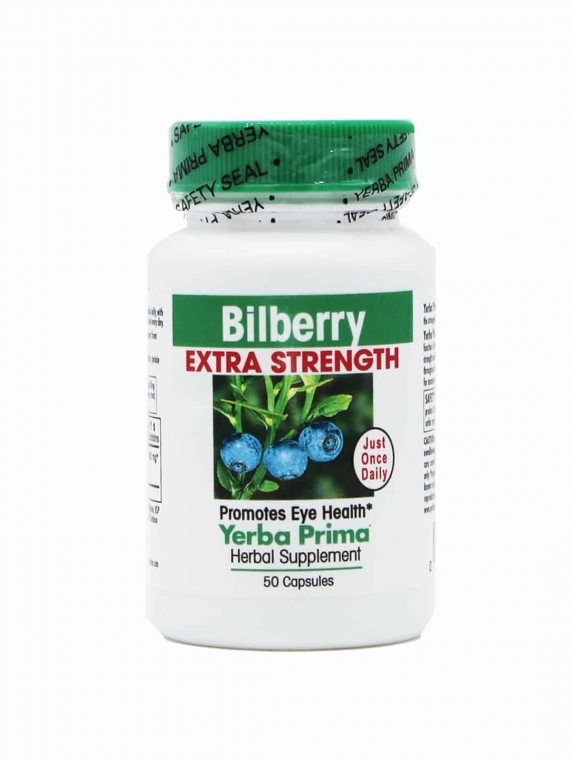 Bioavailability of our Extra Strength herbs is further boosted by the addition of a patented black pepper extract, Bioperine®. 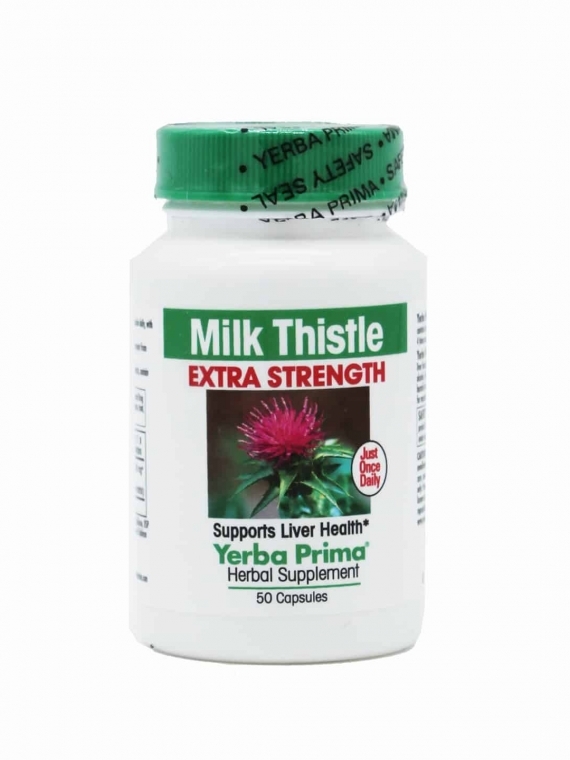 As part of our Extra Strength formulas, it actually increases the amount of herb crossing the intestinal lining into the bloodstream. 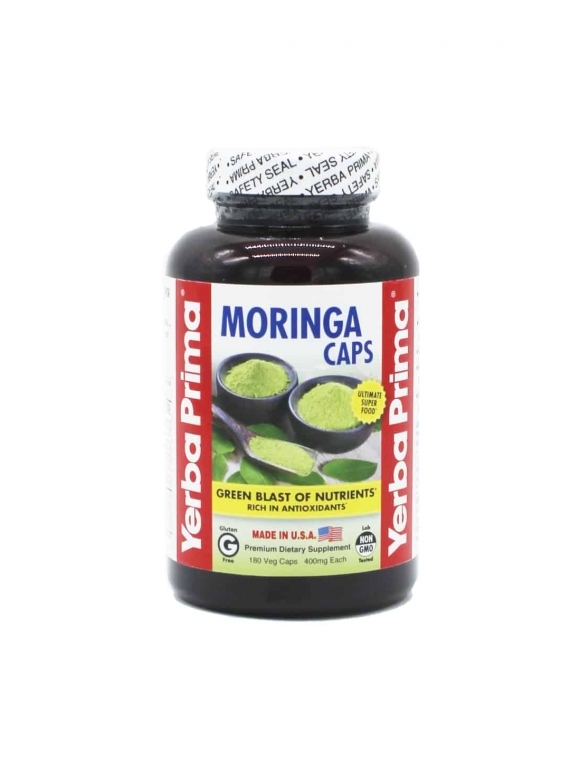 What this means to you is greater absorption, which equals greater benefits.